Penguins and seals are the star attractions, but many other birds, mammals, lizards, fish and insects will be encountered along the Banks Track. The yellow-eyed penguins (hoiho) here represent the northernmost breeding population of this, the world’s rarest penguin. Hoiho inhabit only southern New Zealand. 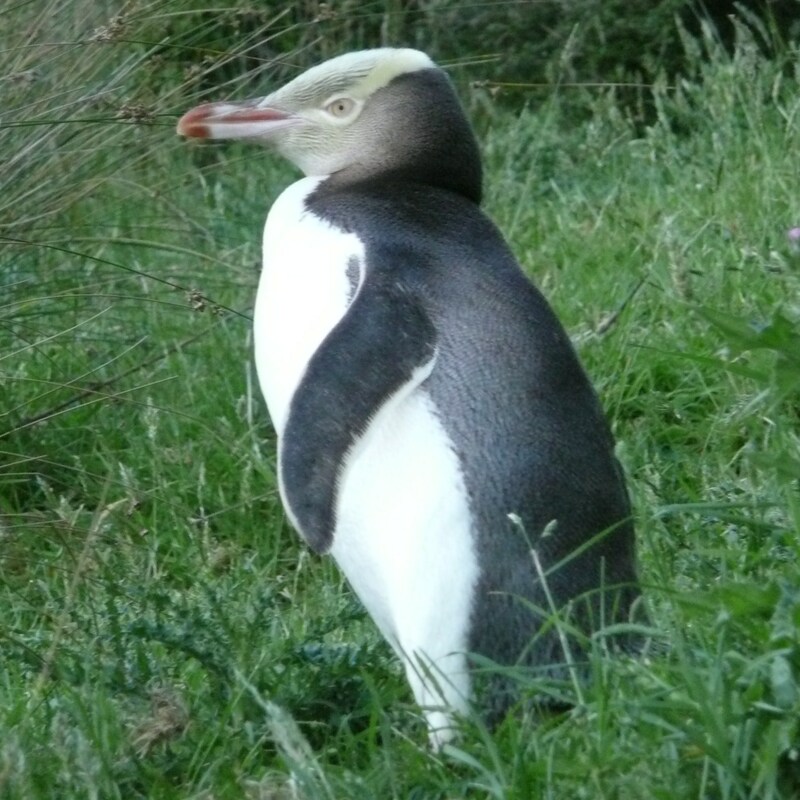 About 75cm tall, the penguins do not breed in closely packed colonies but scattered pairs are usually within sight or sound of a few neighbours. Only half as big, but much more common, the white-flippered little blue penguin (kororā) spends most of its year at sea. They come ashore to breed from late winter into early summer, then again to moult in midsummer. Little blues are the world’s smallest penguins. 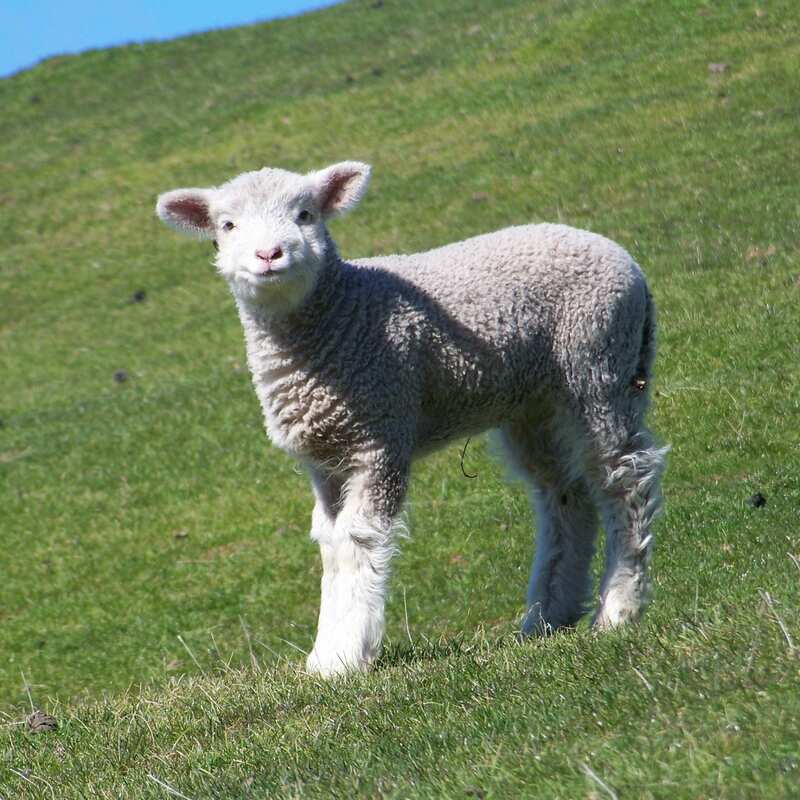 The white-flippered form is a distinctive race breeding only on Banks Peninsula and Motunau Island, some 80kms to the north. Flea Bay hosts by far the biggest population of this species on the Peninsula, carefully guarded by the local landowners, the Helps. The New Zealand fur seal (kekeno) is increasingly common around Banks Peninsula, following wholesale slaughter in the sealing decades of the nineteenth century. 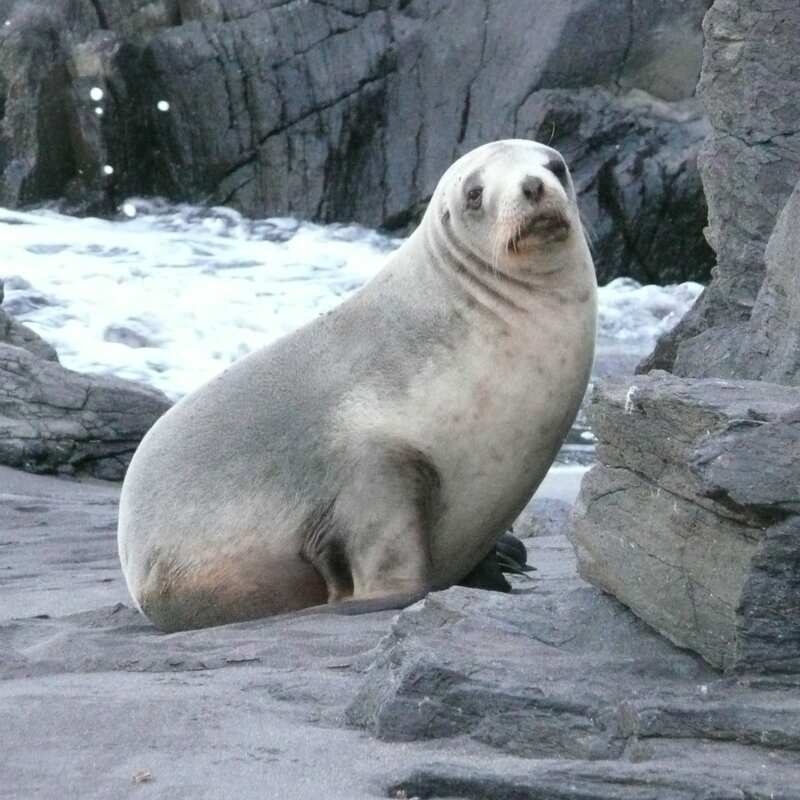 Elephant seal, sea lions and leopard seals are occasional visitors. Hectors dolphins stay close to share, and are quite often seen by walkers. You would have to be lucky to see a whale from the shore, but orca (“killer whales”), sperm whales, humpback whales and southern right whales have all been seen by walkers. The only other native mammals you might possibly see are bats, but both New Zealand species are now, alas, probably extinct on Banks Peninsula. Introduced mammals are common, nearly all of them harmful to native flora and fauna. Besides farmed sheep and cattle you could see hares, rabbits, brush-tailed possums, hedgehogs, rats, mice, cats, ferrets, stoats and weasels. We hope you don’t see feral goats: a vigorous campaign over the last three decades has eliminated them from the entire Banks Track area, and from most of the rest of the Peninsula. Many of the birds you will see are also introduced species: redpole, chaffinch, yellowhammer, greenfinch, goldfinch, starling, house sparrow, Californian quail, rock pigeon, white-backed magpie, blackbird, song thrush, skylark, mallard, Canada goose, grey-lag goose and pheasant. 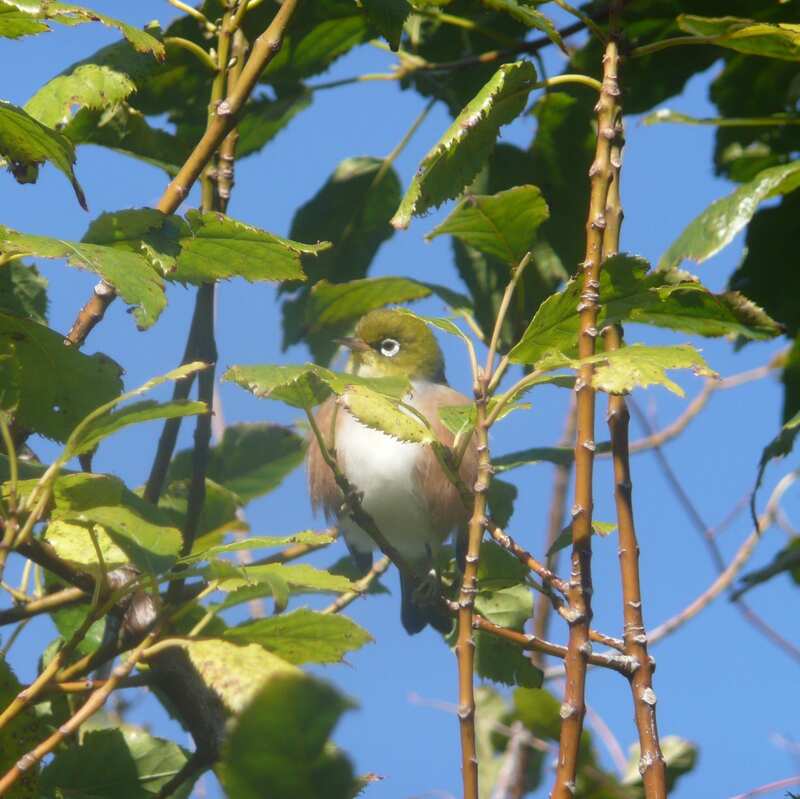 But there are lots of native birds too: bellbird, tūī, brown creeper (pīpipi), tomtit, rifleman, kererū (NZ pigeon), grey warbler, fantail, silvereye, morepork, shining cuckoo, kingfisher, paradise shelduck, grey duck, pipit, welcome swallow and spur-winged plover. The common bird of prey is the harrier hawk (kāhu), native to NZ and also to Australia and New Guinea, but in recent years NZ falcon have started breeding here again after a long absence; you may well see and hear one. Black swans are an interesting case. The supposedly long-extinct NZ swan is now thought to be identical to the Australian black swan. The present population of black swan has resulted from human assisted introductions many decades ago, but probably also from occasional birds arriving on their own from across the Tasman Sea. In any event, the handsome black swan can be regarded as a NZ native. Coastal birds abound: spotted shag, little shag, pied shag, black shag, black backed gull, red billed gull, white-fronted tern, pied oyster catchers and black (variable) oyster catchers. Albatrosses, mollymawks, shooty shearwaters (muttonbirds or tītī) and smaller petrels can sometimes be seen out to the sea from the clifftops. You might also see gannets and Caspian terns, which both catch their fish in spectacular plunges from mid-air into the sea. A rich diversity of fish and shellfish live in the coastal waters; some notable species are red cod, blue cod, barracouta, elephant fish, flounder, sole, kahawai, blue moki, red gurnard, rig, spotty, leatherjacket, butterfish, snapper, tarakihi, wrasse and southern pig fish. Eels share the streams with small native fish, including bullies, torrentfish, lampreys, and the adults of whitebait (galaxiids). Native lizards along the Banks Track include both geckos and skinks. 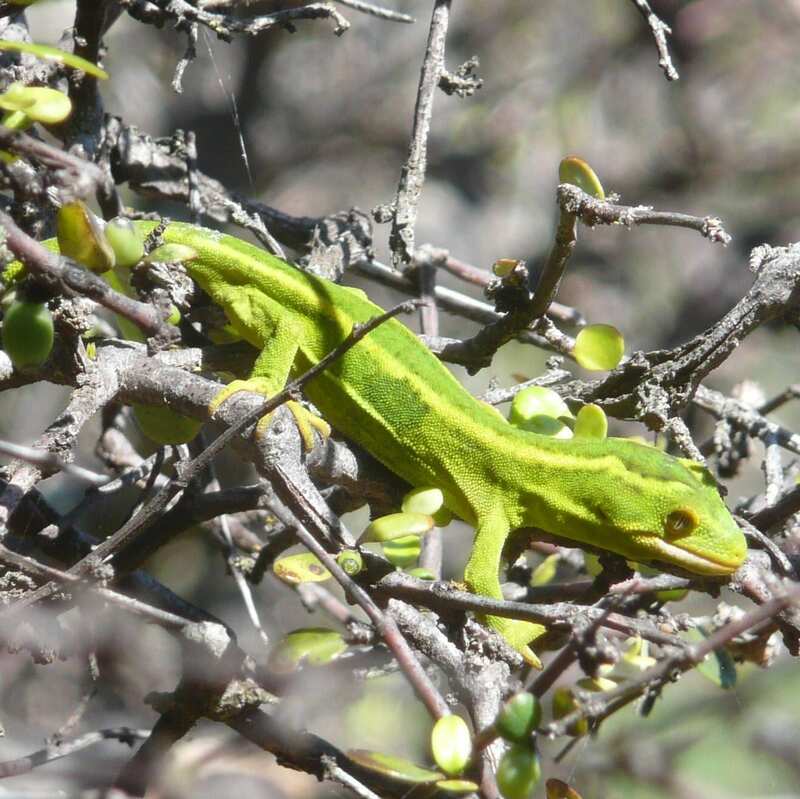 The most beautiful of them, the vivid green jewelled gecko, is hard to see because of its superb camouflage and secretive habits in the foliage of shrubs. Local frogs are introductions from Australia. The small whistling frog (Litoria ewingii) is common, its calls particularly noticeable on still nights. The invertebrate fauna along the Banks Track is so numerous and diverse that only a few features of particular interest can be mentioned in this brief account. The little white ‘tents’ so abundant on native shrubs and gorse are constructed by nursery web spiders. 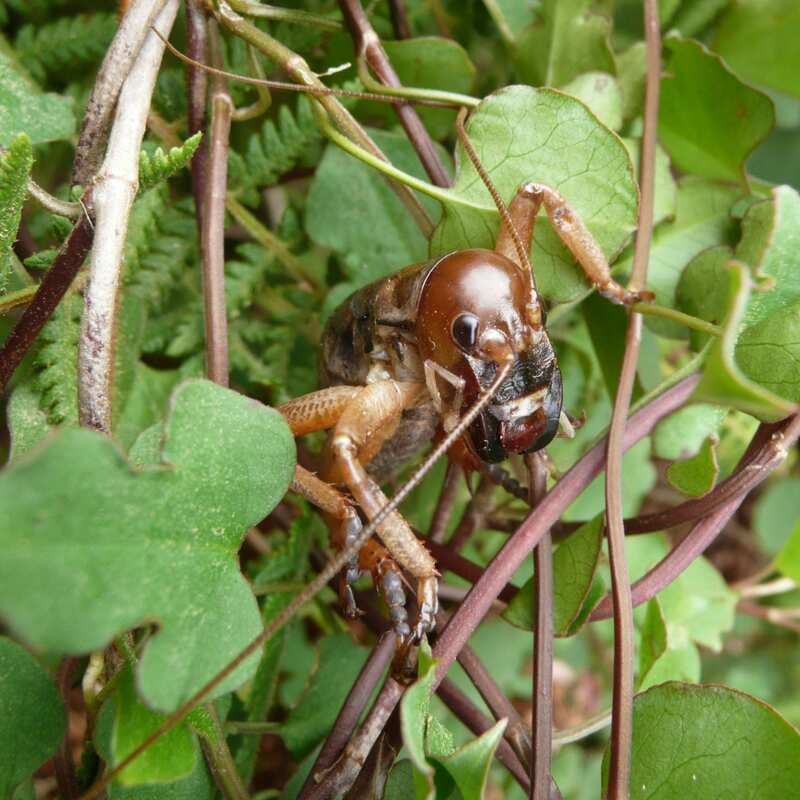 Fearsome-looking, but harmless wētā are large relatives of grasshoppers. Stick insects are quite common but so cryptic they are usually overlook, even though one of them can be 20cm or more long! In midsummer the loud rasping of cicadas can inhibit conversation. There are numerous moth species, mostly night-flying but only a few butterfly species. The most handsome butterflies readily seen along the Banks Track are red admiral, monarch and yellow admiral. Smaller coppers and little blue butterflies abound. Four orders of insects are particularly well represented in the local streams: mayflies, stoneflies, caddisflies and two-winged flies. The caddis flies have an especially large fauna here; it includes species found nowhere else but on Banks Peninsula, and one of the world’s few marine insects, a caddisfly plentiful along the Peninsula’s rocky shores. Larvae of an unusual net-winged midge are abundant in the streams; remarkable ‘piston-powered’ suckers enable them to move freely about in strong currents, grazing algae from submerged boulder surfaces. No fewer than ten predatory ground beetles, one up to 3cm long, are unique to Banks Peninsula. Some other noticeable insects are dragonflies, damselflies, lacewings, dobsonflies, scorpionflies, scarab beetles, tiger beetles, huhu beetles, weevils, craneflies (tipulids), native bees and ichneumon wasps.